The founder of Flickr, Caterina Fake chimed in and said that she thought it was a great idea because without rules like those the site is testing, the encyclopedia would devolve “into chaos,”. Frankly, I’m not sure what the hell she’s talking about. Wikipedia has been in existence since 2001 and this hasn’t happened (to the best of my knowledge). This sounds like a another part of the Internet transition from academic exercise to business focus. (If you think this happened a long time ago, wait until you have to pay for the content you’ve been reading for free.) 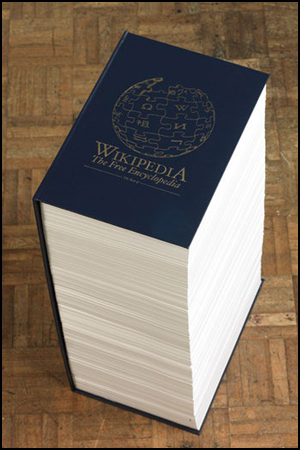 I think these are the first steps towards monetizing Wikipedia. There has always been a debate about the accuracy of Wikipedia compared to Encyclopedia Britannica. (The argument for Wikipedia at a very high-level has to do with the frequency with which the content is updated.) Hard to do really when all knowledge is based on someone’s perspective. I’m very curious to see where this new review process takes us and if there is a monetization plan. iPhone Monetizing New Web: Why is Ad Interaction so Much Higher?